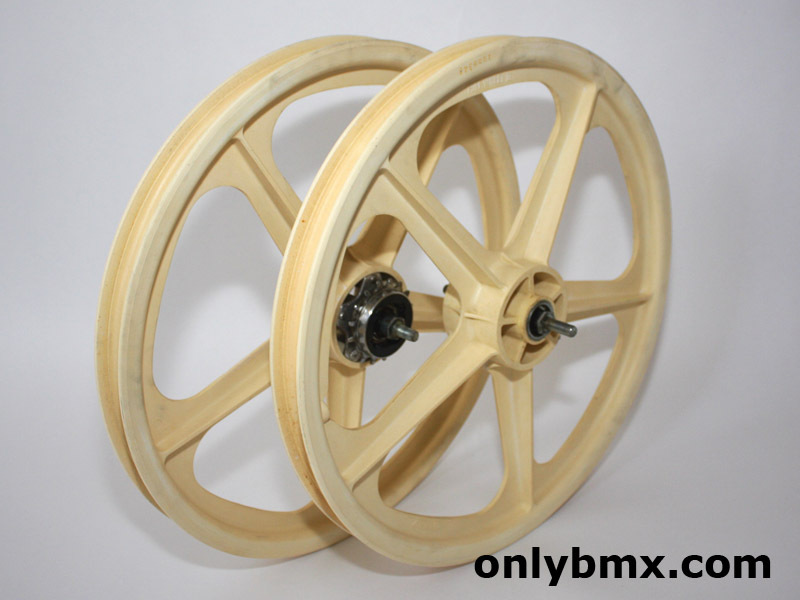 Set of white Skyway Tuff wheels. 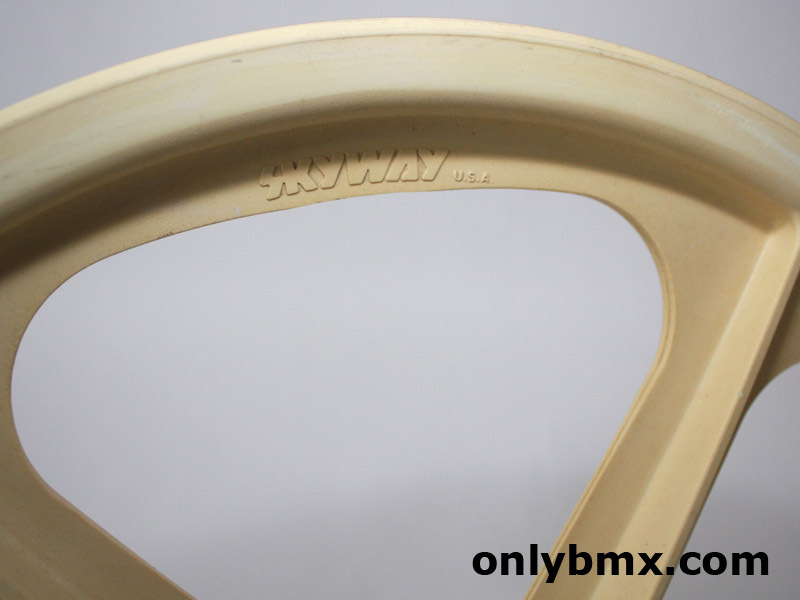 These Tuff 2 BMX wheels are in the less seen white colour and popular on the mid-80s freestyle BMX bikes. 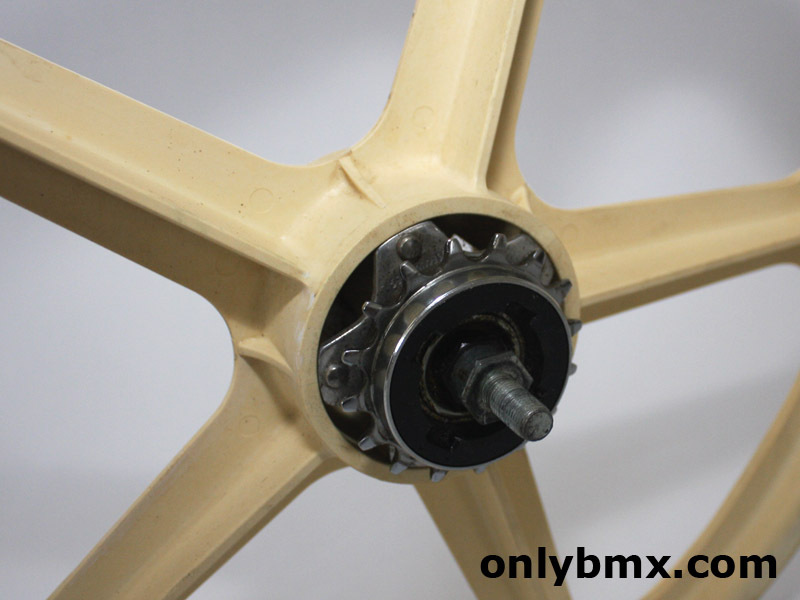 They feature unsealed hubs and the rear maintains the older style metal flange whilst the front is the newer style hub. 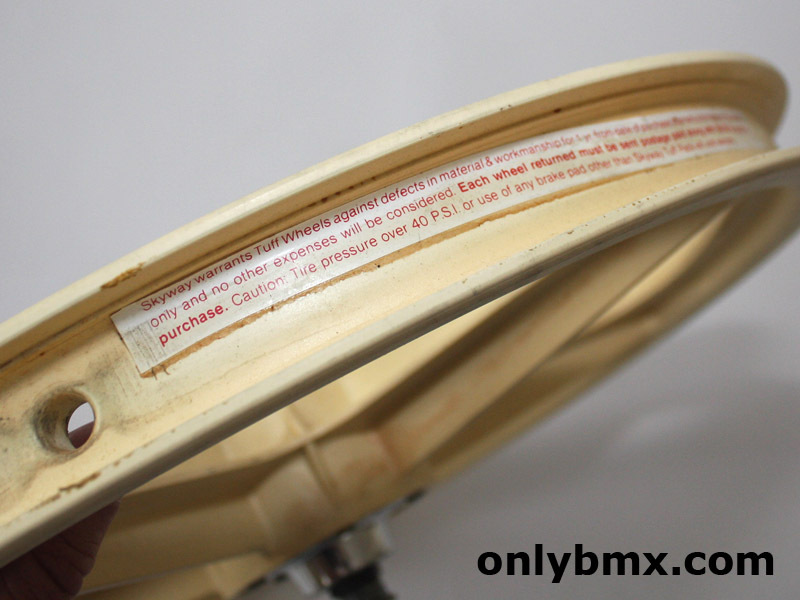 This was the way they came and most likely a pair since new. 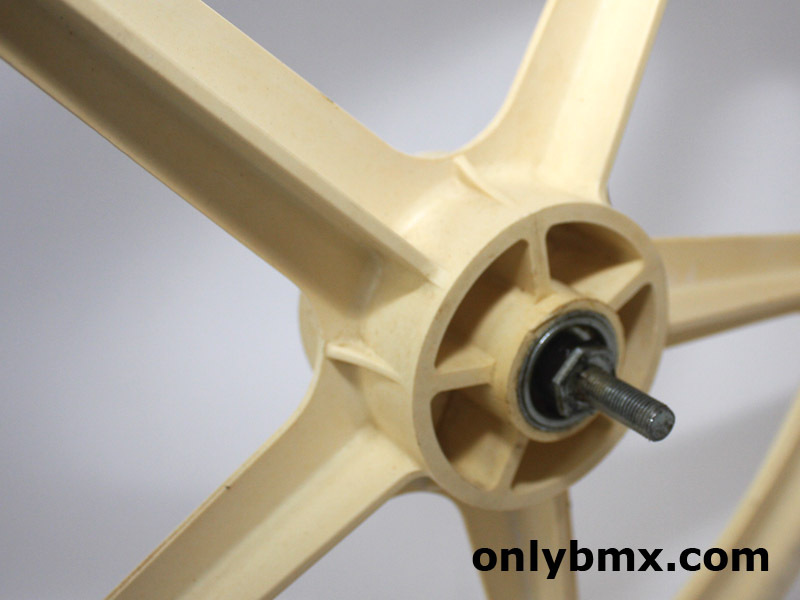 These below on many of the Haro freestyle bikes such as the Haro Sport, Haro Master and Haro FST. Be like Wilkerson, McCoy or Blyther! 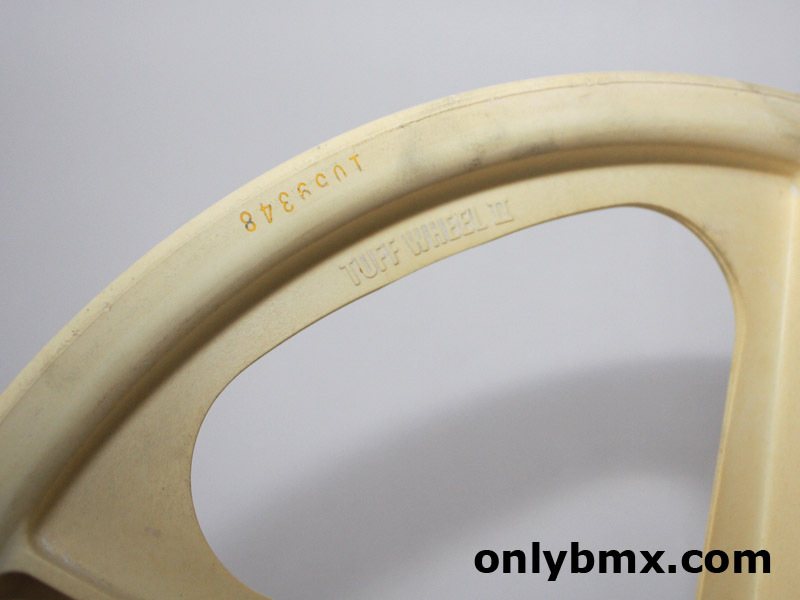 Minimal brake rub and the writing is still evident on the rim surface. 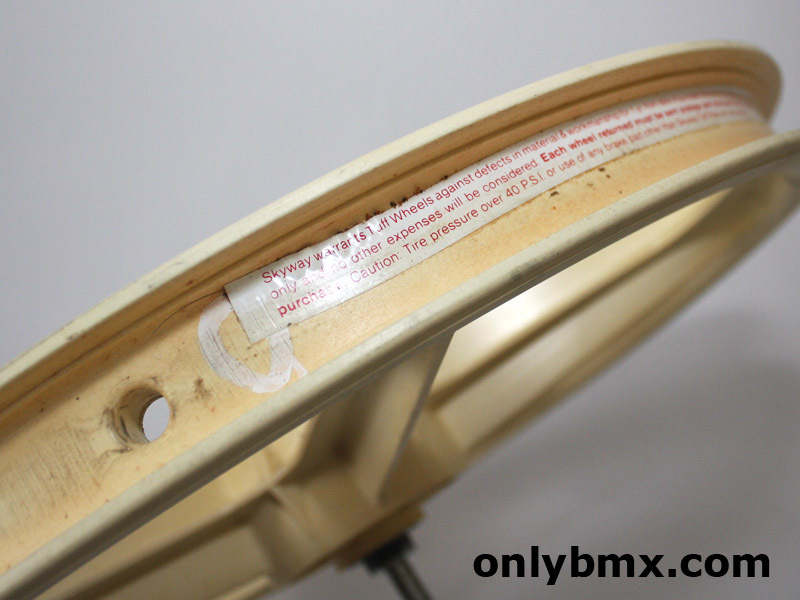 They need a bit of a clean up and remember, these weren’t totally white back in the day anyway. 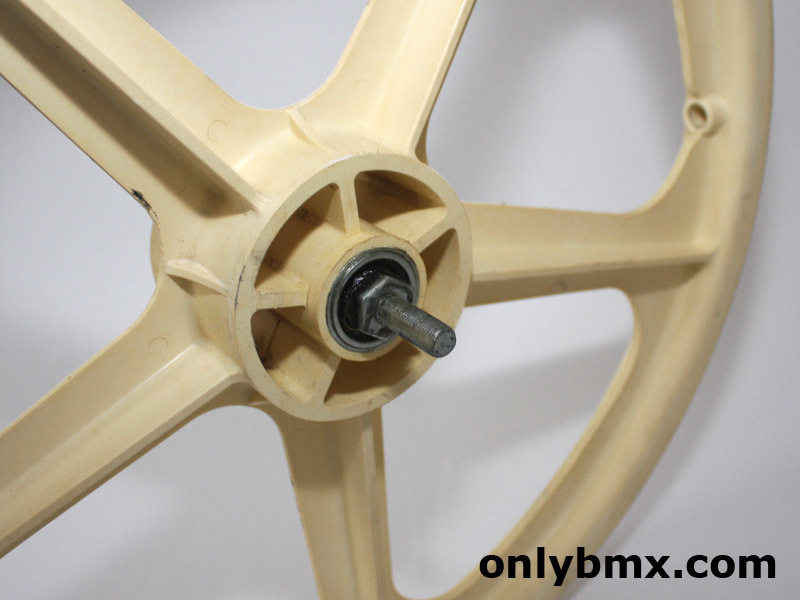 Also comes with the Suntour 16 tooth freewheel as shown.